Looking to take a trip to the Dominican Republic? You’re in luck, as the Dominican Republic is home to a broad range of attractions that you simply won’t find elsewhere. For those who want to know all about the history of the Dominican Republic, a trip to Santo Domingo is a must. Or, if you’re looking to relax on the beach, you can always visit one of the many beaches sprawling across the Dominican Republic. Of course, no Dominican Republic trip would be complete without checking out some of the top local restaurants. At Sunrise Villa, we’re here to help you make the most of your Dominican Republic vacation. As part of this commitment, we want you to be able to find the best Dominican Republic restaurants quickly and effortlessly. Without further ado, here are the restaurants you can’t afford to miss checking out! Opened in 2011, Nam Ñam is a quiet, family-owned restaurant in Bavaro. Nam Ñam is a terrific restaurant for those who want to sample some of the best meals in the Dominican Republic. The Nam Ñam menu includes mouthwatering burgers, awe-inspiring hot sandwiches and much more. And when you finish your main course, you can conclude your dining experience with a sensational dessert like sweet crepes or chocolate cake. Jellyfish is exceedingly popular, and for good reason. This restaurant offers the perfect mix of captivating beachfront views and amazing cuisine. Plus, for those who want great seafood, there may be no better choice than Jellyfish. The Jellyfish menu includes fresh seafood that’s delivered on a daily basis. As a result, you’re sure to find lobster and other outstanding seafood dishes any time you visit. Whether you’re looking to grab a quick lunch or enjoy a romantic dinner with that special someone, Neptuno’s Club Restaurant in Boca Chica is an excellent choice. Neptuno’s offers shellfish, grilled lobster and other seafood dishes that are sure to help you satisfy your hunger pangs. Perhaps best of all, Neptuno’s provides a beautiful, relaxing atmosphere to help you enjoy an unforgettable dining experience. If you’re on the lookout for delicious Asian cuisine, visit Balicana – you’ll be glad you did. Balicana rates as one of the top Asian restaurants in Punta Cana. It serves as a culinary paradise that diners won’t soon forget. From delicious spring rolls to child sweet and sour chicken, Balicana provides first-rate Asian cuisine. In addition, Balicana offers a serene setting located next to a swimming pool and surrounded by lush vegetation to help deliver an unparalleled dining experience. La Alpargatería is a small coffee bar located inside a shoe shop. 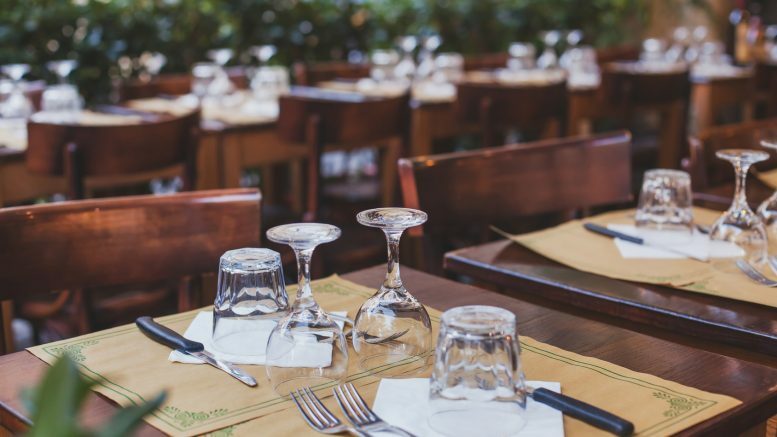 It may not look like much at first, but upon closer inspection, you’re sure to find a lot to like about this restaurant. The restaurant’s menu includes tasty dishes like montaditos de sobrasada and tortilla española. And for those who want authentic Dominican Republic cuisine, La Alpargatería may prove to be a superior choice. Any of these restaurants can deliver an awesome dining experience that will make your visit to the Dominican Republic even more memorable! Be the first to comment on "5 Restaurants You Need to Check Out in Dominican Republic"